You are here: Home / Disney Star And Celebrity News / Congrats To China McClain On Winning ‘Sing Your Face Off’!! 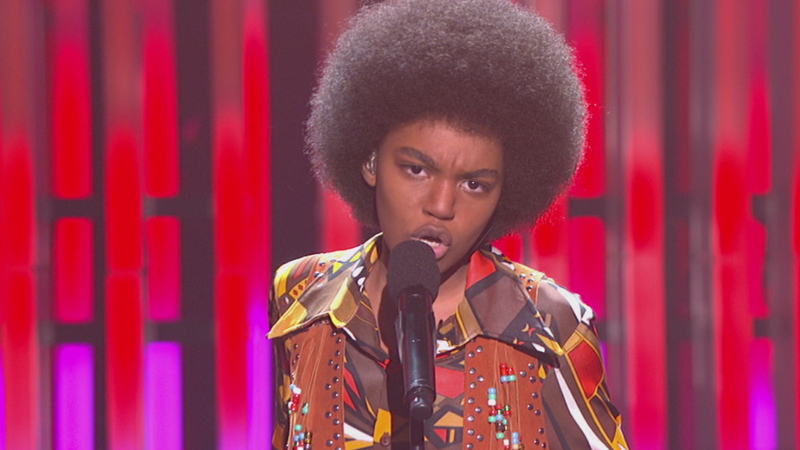 Congrats To China McClain On Winning ‘Sing Your Face Off’!! The season finale of ‘Sing Your Face Off’ took place yesterday on June 14th with a double episode. In the end China McClain took home the top spot. It should have come as no surprise that China would win. She had this from the start because of her incredible talent as a singer, dancer and actress. She set the bar early on that the other contestants/co-stars just couldn’t match. We feel that China’s acting ability and character portrayals of the likes of Whitney Houston and James Brown help catapult her to the top because with this show there was more to it than just the singing talent. China had it all. Twitter has been buzzing all morning with fans and her friends sending out messages congratulating her. The staff here at TeenInfoNet.com would like to add ourselves to that list and just say that we are very happy for her. Keep on rockin’, China. In other news concerning this ABC series, it is being reported that this first season may just be the last and ABC has not renewed it. We will have to wait and see what develops concerning this but from the reports we have read it is not favorable that the show will get another season. Would you guys like to see another season of this show? Let us know in the comments below. « Stars Post Happy Fathers Day -– See The First Posts Of The Day Here! Congrats to China–a multi-talented young lady with a great future. Would love to see another season–THIS SHOW IS A HIT–Come on ABC–do it again.